Soraya is a highly popular teacher who enjoys passing on her love of the harp to her pupils. With many private students of all levels, her lessons are tailored to the individual and are always positive and fun, whatever level the pupil aspires to. Soraya is the harp teacher for The Pointer Preparatory School, Blackheath, London, The Loughborough Endowed Schools, Leicestershire, Oakham School, Southwell Minster and Northamptonshire Music Service. Gaining a high distinction in her LTCL teaching diploma in 2013, Soraya has worked with the Pyramid Trust, running workshops and activities for children and young people with self esteem problems, and this charity remains close to her heart. Fully DBS checked, Soraya is available to teach in the Greater London and Leicestershire area. Please contact Soraya to arrange a lesson. Thank you for everything! I don’t know where I’d be without you but there’s no doubt that I wouldn’t be where I am today. The support that you’ve given me over the past 3 years has given me the courage to pursue my dreams and you’ve helped me to achieve things that I never would have thought possible! 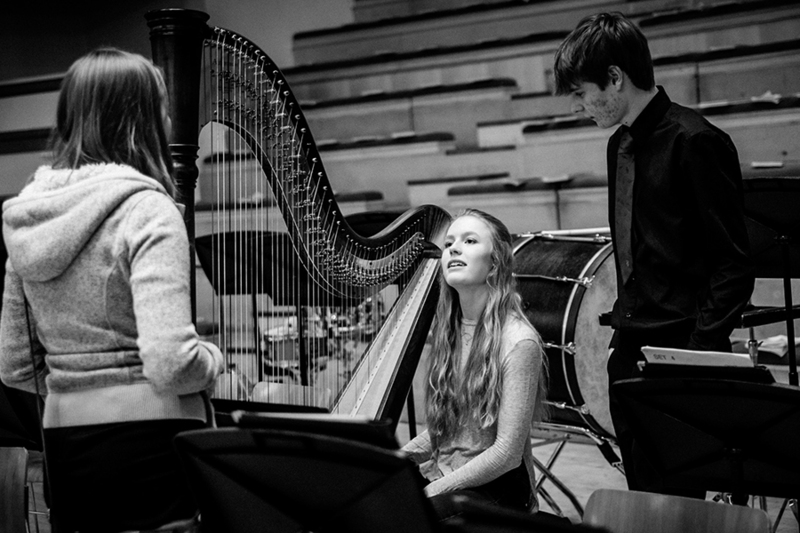 As I leave for university I will never forget the amazing times I’ve had with you and with the harp ensemble. I have had so much fun performing with everyone and my confidence in my solo playing has improved so much with you! I will be forever grateful for everything you’ve done for me and I can’t wait to come back and cheer on the harp ensemble next year!